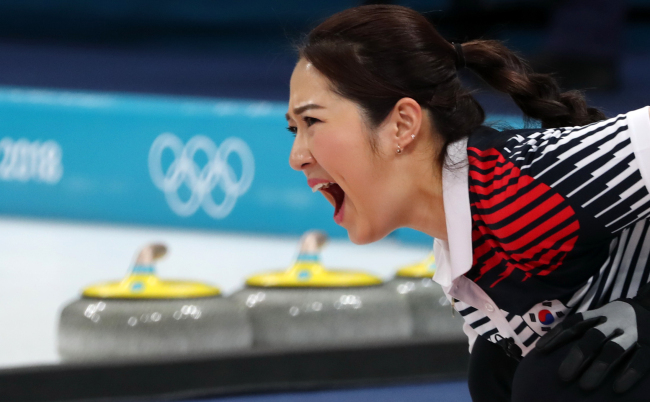 South Korea’s female curling team, which ranks eighth in the world, defeated second-ranked Switzerland Friday after dispatching first-ranked Canada in a surprise victory Thursday. 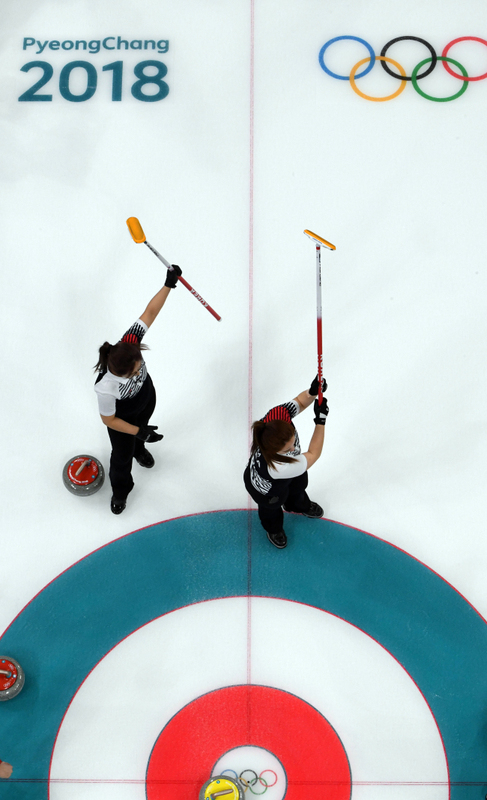 The Korean team won 8-6 against Canada and 7-5 against Switzerland. 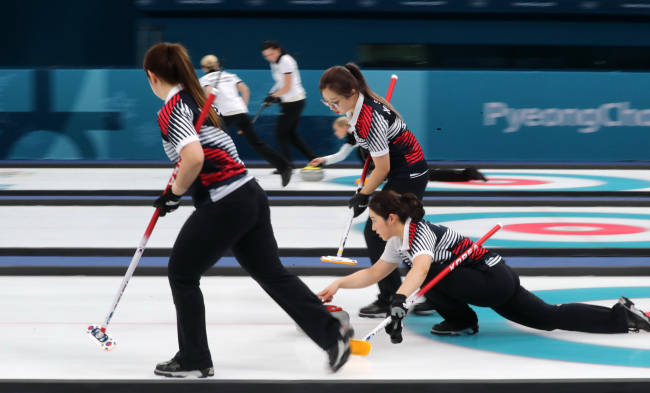 The four-member Korean team is composed of Kim Yeong-mi, Kim Seon-yeong, Kim Kyeong-ae and Kim Eun-jung. The women’s team still have to win four more games to advance to the semifinals, having lost to Japan on Thursday evening. After the preliminary round robin session, the top four teams out of 10 participating countries will move up to the knockout stages. 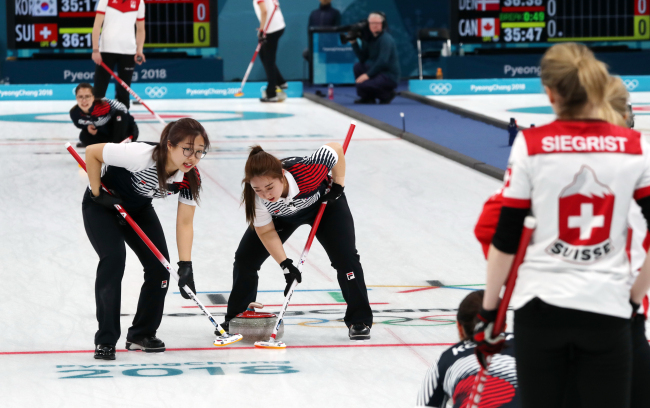 The women’s curling games are scheduled through the weekend and the following week, with South Korea’s next game against the Britain slated for Saturday at 8:05 p.m., followed by a match against China on Sunday at 2:05 p.m. and one against the US on Tuesday at 2:05 p.m. The Korean team will play the Russian team and Denmark on Wednesday.